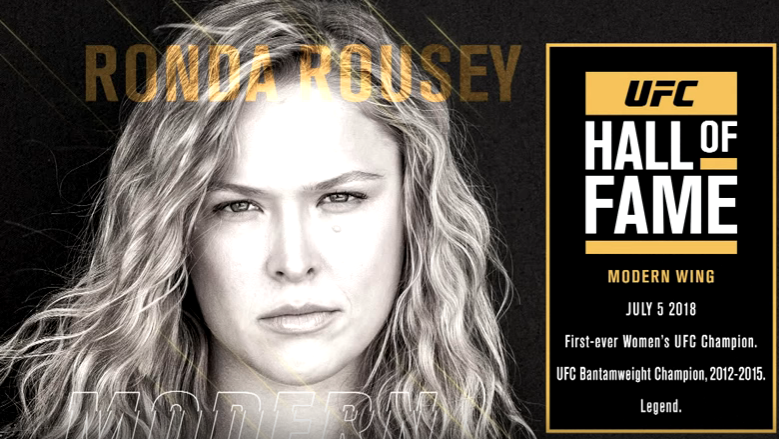 Congratulations are in order for UFC turned WWE superstar, Ronda Rousey, as it’s been announced she’ll be the first female inducted into the UFC Hall of Fame as part of the Class of 2018. The celebration which is less than one month away, takes place on Thursday, July 5th at The Pearl at the Palms Casino Resort in Las Vegas. You can be a part of the historic event, as it will be streamed live and exclusively on UFC Fight Pass.